Seven years old. I was a mere seven years old when I was first fortunate enough to experience the life-altering magic of Middle Earth through the eyes of Peter Jackson. When you’re seven, Middle Earth and Real Earth have about nothing in common, and at 23 I sometimes still only dream about being surrounded by the ethereality of places like the Shire without a care in the world besides making sure I had second breakfast on time. I know now that Middle Earth emulates Real Earth in ways that are difficult to swallow -- both are places bound with darkness and frequent sorrows that seem to constantly overwhelm their beauty. Anyone who has known me for more than 20 minutes probably knows that I hold Jackson’s The Lord of the Rings in the same hyper-sacred regard as the oxygen that keeps us breathing – I need it to survive. The characters that live in the trilogy have become some of my dearest friends over the sixteen years that I’ve known them, their stories of unconditional bravery in the face of fear saving my life time and time again. I’ve been writing about movies for just over one year now, and one would assume that I’d have written about my beloved trilogy by this point. I find that I haven’t because perfect movies like this deserve to be honored at the perfect time, otherwise no set of words could justify my gratitude. The truth is, I’m scared every day these days and that makes now the perfect time I was waiting for. Much like our fellowship of heroes in Middle Earth, I’m scared of good things being consumed by malevolent darkness. Much like Frodo, specifically, I’m scared every day of being consumed by that darkness myself. If I’m being honest, I don’t feel as unconditionally brave as my friends in Middle Earth. On most days, I can hardly find the valor to leave my bed. It’s embarrassing to admit, but I always think of Frodo and the Fellowship during these (frequent) lapses of courage: about how what made them so valiant was not that they were unafraid, but that they persisted despite their fear. I find myself regularly reaching for the Trilogy because it never fails to remind me that we are allowed to be scared of the dark, so long as we know the light makes it worth leaving the Shire. With my most recent visit to Middle Earth, I found myself particularly focused on Frodo’s character. To be frank, he was previously never a character worth calling a hero to me. I thought he was useless and that the rest of the Fellowship was doing more to defeat the darkness than he was. The real hero of Middle Earth was always Samwise The Brave, and in some ways that is still true. It wasn't until what is likely my millionth time with the Trilogy that I finally understood the real magnitude of Frodo’s heroism. Frodo is faced with a burden that he never anticipated, quite literally bearing the weight of all Middle Earth’s darkness around his neck: The One Ring. We know how the story goes: Frodo is joined by his old friends from the Shire and new friends from across Middle Earth to destroy the ring and obliterate the evil forces that are overtaking their beloved world. 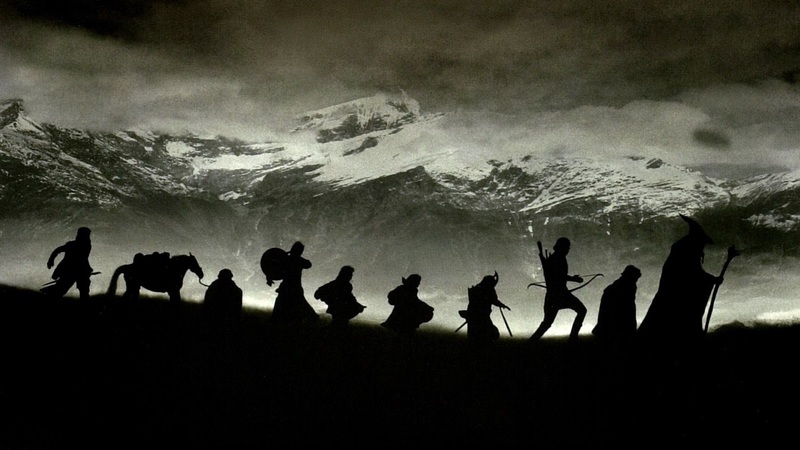 What strikes me the most is that the Fellowship is composed entirely of people who chose to be there, not only for Frodo, but for the goodness of life. The thing is, despite the complete support of the Fellowship, the One Ring does not weigh on anyone as heavy as it does on its bearer. The burden is Frodo’s to carry and his alone. It physically wears down his soul, chipping away at it in efforts to let the darkness in. Despite their devotion to Frodo, none of his friends can withstand this pain and sorrow for him. In one of the scenes closest to my heart, a defeated Frodo confesses to Sam that he may not be able to continue. The weight of the ring has become too heavy, even with so little left in his journey. Without Sam at his side, this may have been the end for both Frodo and Middle Earth. 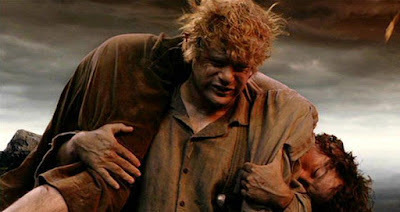 Sam knows he is unable to carry the weight of Frodo’s burden for him, but cries words that have stayed with me for sixteen years: “I can’t carry it for you...but I can carry you.” And he does. I’m no hero, but I find myself relating the most to Frodo as of late. I feel heavy, scared, and the longer I carry these burdens, the less of myself I become. I am surrounded by people who would never let me trek to Mordor on my own, despite their inability to swim (Lembas bread to those who recognized that reference) and despite my eagerness to go alone. The truth is, Frodo would have never made it to Mordor without his Fellowship, and I will never make it through this world without mine. It never made Frodo any weaker; it only meant he was better able to handle the weight that was his alone to carry. I have found this to be a very difficult lesson to learn, but one that I needed now more than ever. I thought Frodo’s dependency on the Fellowship for survival was a weakness. I didn’t consider that in his sheer ability to carry The One Ring all the way to Mordor, Frodo was exhibiting all the bravery in the world. I always felt that one of my biggest weaknesses was needing my loved ones to carry me when the weight of my own darkness proved to be too heavy. I thought my inability to do it alone was a testament to my cowardice, but because of Frodo, I know that the opposite is true. It is brave to accept help. It is brave to be scared and feel defeated, but persist nonetheless. I am still doing some of this on my own, and none of the people in my own Fellowship can carry my burdens for me. Instead, they carry me as I would carry them. Super beautiful article and so true. I thought the same of Frodo (and Sam- that Sam was the hero). But I haven’t seen this in years and never updated my perspective. I’m positive I would relate to Frodo more now too. As someone who watches the trilogy at least once to twice a year, I completely agree with you on Frodo. I never truly appreciated him in my younger years but watching it now, his and Sam's story is my favorite. Also, with every viewing, the ending gets sadder and sadder for me. Great article on the best trilogy there is! This is so great, Ale! I haven't seen the LOTR films since the theater, and you definitely gave me some incentive to revisit them. Great column! I'll be your Gandalf any day, little Hobbit. I watch the LOTR Trilogy (always extended of course) at least once a year and they are very special to me. Over the years, I'm sure we've all heard countless jokes made at Frodo's expense, whether in popular culture, movies, podcasts, stand-up comedy. At times he's been a punchline, watlking to a volcano for 3 movies (ala Clerks 2). While he may not be my favorite character, I've always appreciated the burden and effort that he put forth in order to help out his friends. I think he has a lot of great moments of courage throughout the series, it's just that they get over-shadowed in peoples minds by the dozens of other great moments or massive battles that take place. I quite enjoyed that and I can tell you're a big fan. What did you think of the "Other" Trilogy? The one that's not quite as fondly remembered. Are you a fan of the Hobbit films? The Hobbit movies are also pretty near and dear to my heart. I understand why they’re not as successful with fans, but I have a huge soft spot for the dwarves and for Bilbo so seeing them manifested on screen was enjoyable at the very least! Yes! So glad to hear it! I think I'm ready to revisit those, haven't watched them since I picked up the extended box set. I know exactly what you mean. Sam's speech at the end of Two Towers has exactly the same effect on me. "There's some good in this world, and it's worth fighting for." Becoming overwhelmed by the horror of the world is remarkably easy, and the existence of good things does not cancel out the existence of the bad - but that doesn't make it any less important to find and protect those things. This is why people love movies. And why I loved this piece. 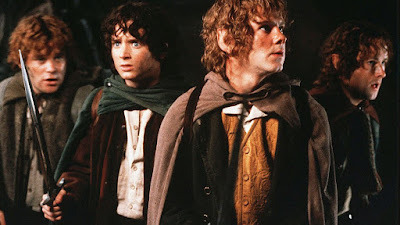 This is a fantastic article that really gets to the heart of what makes this trilogy my all time favourite - Fran Walsh, Phillipa Boyens, and Peter Jackson never felt the need to change the books and make Frodo more of a typical hero. Time for a rewatch!